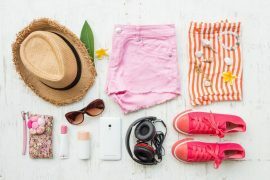 If you’re looking for the best lightweight luggage for international travel then you have come to the right place, as this guide takes you through everything you need to know when purchasing light suitcases for air travel. 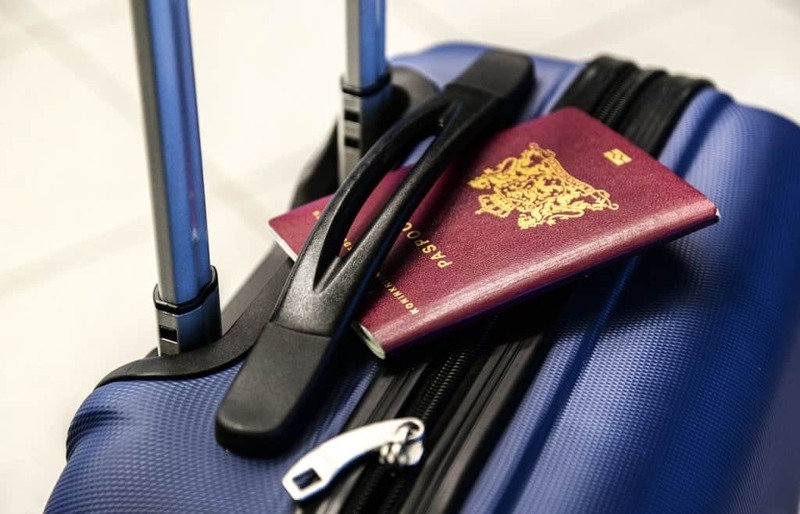 When purchasing the best luggage for international travel you want to ensure you purchase something durable, whilst still being practical in that it’s lightweight and able to carry everything you need for your trip. Consideration needs to be given to your preference for size, case type (soft or hard) and whether practicality or style is your priority. 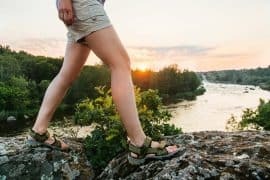 In this guide I’ll take you through everything you need to consider step by step to ensure you purchase the best lightweight suitcase for international travel. I will help you understand the importance of size and weight and a range of other factors such as wheels and handles. Lastly, I’ll take you through some of the top-rated lightweight suitcases from the best luggage brands for international travel, so you can find the best suitcase for international travel for you. This post may contain compensated links. Please refer to my disclaimer here  for more information. 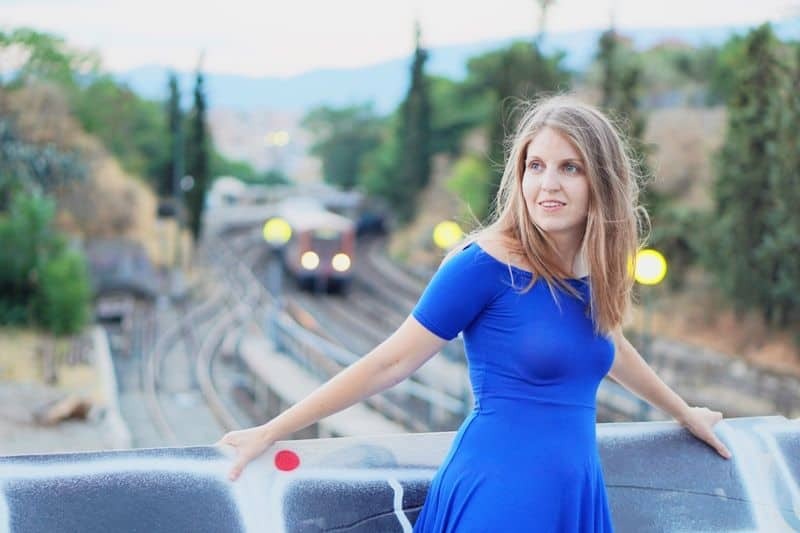 Don’t have time to read my entire lightweight luggage for international travel reviews? 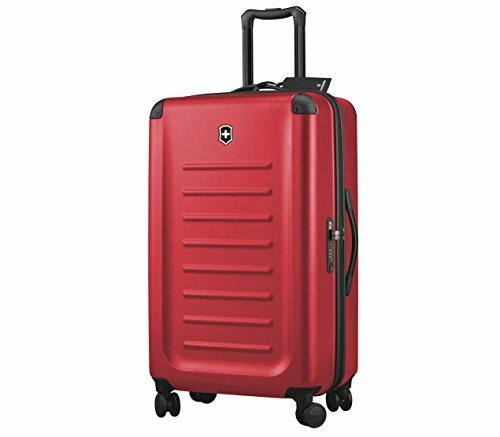 Well if you’re looking for the light suitcases for international travel, I recommend you consider the Travelpro Maxlite 3. I love this bag because it just always has space for everything you could imagine. Whilst being one of the largest bags on this list; it’s still lightweight coming in at just over 9 pounds. It’s also expandable and has an excellent wheeling system, which makes travel easy and smooth, something which every traveler will appreciate. 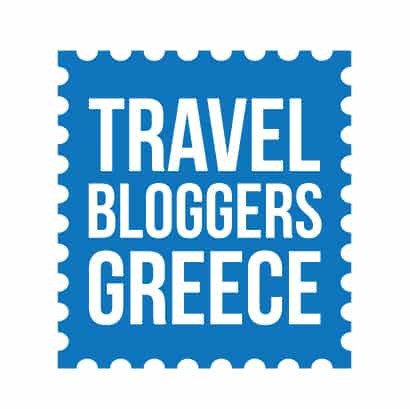 Keep reading below for my full review on the Travelpro Maxlite 3. For a quick overview of all the lightweight suitcases contained in this guide, check out the handy table below. Here you can easily compare the various features of the suitcases side by side in order to make an informed decision as to which is the best luggage for you. The Maxlite suitcase from Travelpro is one of the larger suitcases in this guide, providing plenty of space for your personal belongings, whilst still being lightweight. This 29-inch suitcase is a soft side case with plenty of space for storing your belongings. There is a large external pocket, whilst inside the case is a full-length interior lid pocket, side accessory pocket and adjustable hold down straps to ensure everything stays in place. It is also expandable to make extra room for things you might purchase along the way. 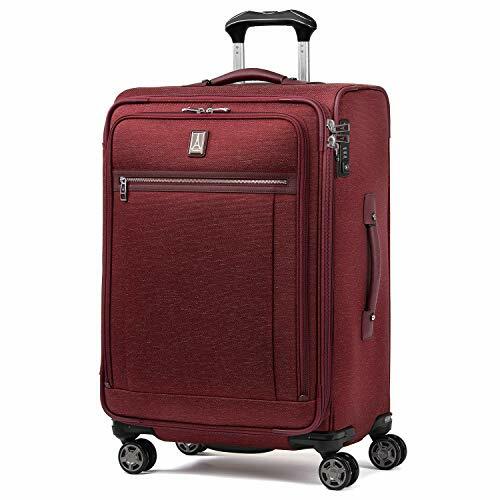 This suitcase is a breeze to wheel around the airport with its 4-wheel spinners rotating 360 degrees and the aluminium handle locks into 2 different positions to accommodate people of different heights. Weighing in at just over 9 pounds, this is a great lightweight suitcase for those that need the extra space and comes with a lifetime warranty for the peace of mind. 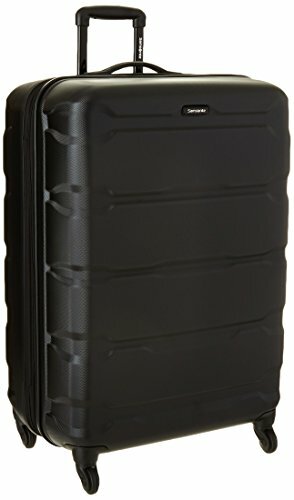 The Samsonite Omni PC Hardside Spinner is a fantastic lightweight case for travelers searching for a great quality suitcase at an affordable price. With an extremely scratch resistant mirco-diamond texture on the exterior of the case, this suitcase is sure to withstand all the usual wear and tear inflicted by harsh airport elements. Not only is this case super durable it also looks stylish too, with 8 colours to choose from such as aqua, pink, bronze and silver. Other features include a retractable handle, 4 spinner wheels and a side mounted TSA lock for extra security while travelling. All this as well as the 360 spinner wheels makes this a great option for international travel. Whilst the heaviest luggage in these reviews, at just over 10 pounds, it’s still lightweight, particularly considering it’s a 28-inch case. Being made from Samsonite you know you’re getting a quality case and all at a great price too. For the frequent flyer who wants a suitcase with all the bells and whistles, this 25-inch soft side case from Travelpro might be just what your after. There are plenty of compartments to organise your belongings, such as the fold out bag to keep your clothes wrinkle free whilst traveling as well as the built in accessory pockets and adjustable hold down straps to ensure everything stays in place. 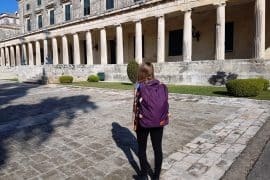 The exterior of the suitcase has two large pockets, as well being able to expand and extra 2 inches if you find yourself needing more space whilst travelling. 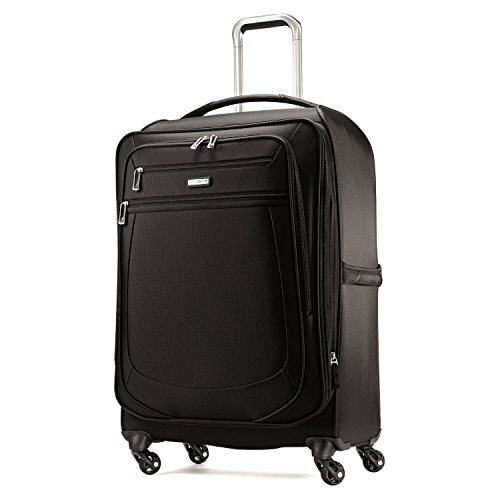 Frequent flyers will appreciate the 4 double spinner wheels, this suitcase is a pleasure to glide around the airport. It also has a fully adjustable handle, capable of being set in 4 different positions to accommodate even the shortest or tallest person. This is a durable suitcase made from high density nylon with a duraguard coating to resist stains and abrasions as well as strong zippers designed to resistant damage from frequent use. This suitcase also includes premium leather top and side carry handles, integrated TSA approved lock and is backed by a lifetime warranty that even covers the cost of repair for damage from airline or other carriers for the life of the bag. Coming in a range of colours such maroon and grey, this is a gorgeous bag just perfect for anyone looking for a top quality suitcase for international travel. The Desley Luggage Helium Aero is a fantastic hard case bag which is TSA approved and a great choice for travellers looking for a lightweight case for international travel. This 25-inch Delsey case bag is a great size with heaps of internal storage. As well as the two interior extra-large fully lined pockets there is a 2-inch expandable pocket perfect to store souvenirs purchase whilst travelling. The hard case also features two side handles perfect for carrying the case when required such as lifting off the baggage carousel or in and out of the car. This case is made from 100% polycarbonate which is super resilient to cracking. For the security conscious travellers there is a side mounted TSA lock which is designed for airport personal to open your bag without damaging it. You’ll also love how easy this case is to manoeuvre around the airport. The double spinner wheels as well as the two-position handle system make getting around a breeze. This is a great mid-range lightweight suitcase which also comes in 10 different colours including red, bright blue, pink and green. The next Samsonite item to make our list, but certainly not the last, is the Samsonite Silhouette Sphere 2 Hardside. With some exceptional 4-wheel functionality, this suit-case is great for any manner of travel. The fully-lined interior is decked out with storage options. There’s a modesty pocket for all your valuables, three generous organisational pockets, an integrated wet pocket and two full zip divided panels for extra organised storage. What you’ll absolutely love about this suitcase is it’s four split spherical wheels. Each half of the wheel can move independently, which makes moving this suitcase along uneven ground an absolute breeze, especially when you factor in the upright rolling functionality. A solid suitcase that is sure to protect all your personal belongings on all your travels, the Samsonite Silhouette Sphere 2 Hardside is also comfortable for the user. An excellent purchase for anyone travelling anywhere. If you’re looking for a lightweight luggage case that doesn’t sacrifice on the quality, then you definitely should check out theSamsonite Midnightlight 2 Softside. Along with the main compartment, this suitcase also comes with three zippered pockets on the outside. This luggage case doesn’t have as much organisational utility as some of our other options, but it’s lightweight and great for a traveller that knows they won’t need lots of space. For multi-directional spherical spinner wheels allow for easy mobility across all surfaces, and the ultra-lightweight nylon fabric with water-resistant coating is great for easy travelling. The integrated carry-handles provide comfort when hauling a packed case. Simple, but effective, the Samsonite Midnightlight 2 Softside is a great choice if you’re looking for a suitcase that does all the essentials, and does them well. Now let’s check out an entry from Skyway. The Skyway Mirage Superlight 28 Inch Expandable suitcase would make for the perfect travel companion no matter what your travel style. A full-length mesh pocket is the perfect space for your undergarments, belts, ties and small, easy-to-lose valuables. Along with the main storage, there is also two zippered pockets on the outside of the luggage case, which adds that little extra storage for those necessary souvenirs! The ‘Expandable’ in the name refers to how easy it is to expand the main compartment of this suitcase, just a simple pull of a zipper and you’ve got some extra space for that last pair of jeans! Premium lightweight components and materials have been chosen by Skyway to make a nice, light suitcase. With a spinner wheel system, for easy movement whether you’re pulling, pushing or gliding your suitcase, the Skyway Mirage Superlight Expandable is an excellent choice. The Skyway Mirage Superlight 28 Inch Expandable is certainly an achievement, and would make for a great asset no matter how far you’re travelling. 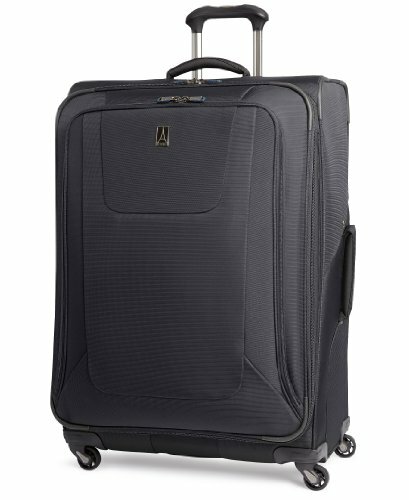 Next up we have the Victorinox Spectra 2.0 29 Inch luggage case. With a scratch-resistant matte finish, this suitcase is certainly eye-catching if that’s one of your requirements! The split case design allows for maximum organisation for the OCD among us. The top compartment has a zip-around mesh door that will secure all your items in place, whereas the bottom compartment uses Y-shaped compression straps and a zipper pocket to keep all your items in place. The Victorinox Spectra 2.0 also comes with an integrated, TSA approved combination lock. TSA approval allows for USA authorities to open the lock without breaking it, in case of luggage loss. This makes this suitcase an excellent choice for international travel, especially to the States. The Victorinox Spectra 2.0 29 Inch travel case is certainly one of the more premium options on this list, but it wears this title with pride and has an exceptional level of quality and style. 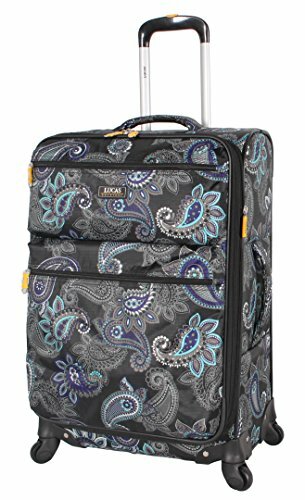 If you’re looking for something a bit more unique and eye-catching, then you simply can’t look past the Printed Lucas Luggage Softside 28 Inch Expandable Suitcase. This travel case comes with two zipper pockets on its outer face, along with a zipper pocket in the upper compartment. The main compartment also features compression straps to keep all your clothes secure and organised. The clear draw-in for this item is its printed pattern. This beautiful designer pattern will keep you stylish on the go, and is great if you want to make a little statement with your luggage! The ergonomic handle grip allows for maximum control of the suitcase, in even the most crowded of airports. The Lucas Luggage Printed Softside 28 Inch Expandable Suitcase is not only stylish and fashionable, it also doesn’t sacrifice on quality and functionality, a great choice for any traveller. 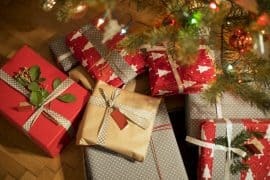 Amazon continues to be the frontier of online shopping, and their AmazonBasics line is no different. 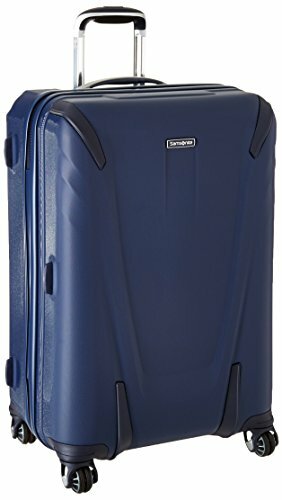 AmazonBasics offers great, affordable everyday items, and theAmazonBasics Softside Spinner Luggage 29 Inch continues this sentiment. The case features a fabric lining which protects all your items from scratches and snags. The three interior pockets allow for secure organisation, each has a zipper for securing of your valuables. For its cheaper price, this luggage certainly keeps things neat and organised. With a telescoping handle and four-wheel spinning design, this suitcase is incredibly easy to handle on any surface. The case also has an expandable design, which gives you that extra room when you need it, and less room when you don’t! 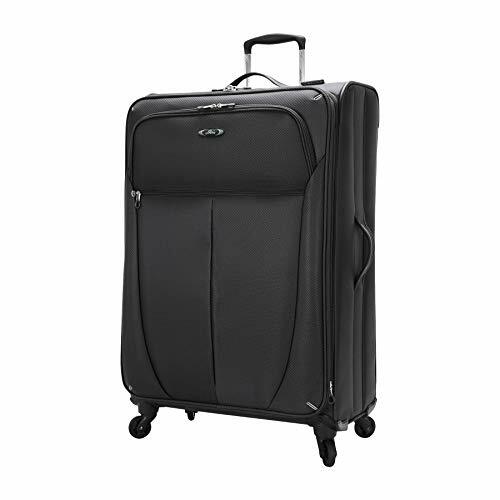 With a cheaper end price, the AmazonBasics Softside Spinner Luggage 29 Inch still offers great quality, and will certainly give you bang for your buck. 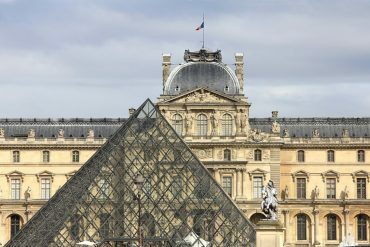 What makes the best travel bags for international travel depends on a few things. Let’s look a bit closer at a few of the things you should keep in mind when purchasing lightweight luggage. The size of your suitcase really is a personal choice. However I recommend you purchase a case just as big as you need. Buying a suitcase too big just adds unnecessary weight that you must carry around as you travel, as well as tempting you to fill it and take to much stuff with you. In the reviews below are both large and smaller sized luggage options. 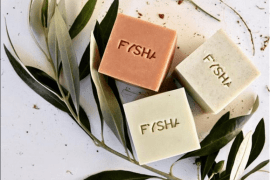 So, whatever your preference no doubt there is something perfect for you! Also in the table above, I have included the sizes of all the suitcases for your convenience. With airlines being strict on the weight of your checked luggage; it is super important to choose the lightest suitcase which still meets your requirements. 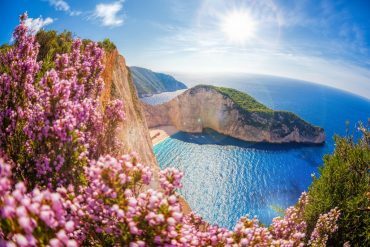 Some suitcases can be unnecessarily heavy, eating into your precious baggage allowance. Whilst other suitcases are so light that they don’t offer any protection for your belongings inside. When considering the weight of your suitcase you will need to consider a few things. If you prefer a hard side case you’re going to have to accept that your suitcase will be a little heavier than it would be if it was a soft side case. Of course if you want a large suitcase it’s also going to be weigh a little more than what a smaller suitcase would. Check the actual material it’s made of, many are lighter AND stronger, but that’ll come at a price. If it’s cheap and light, it may not stand rough handling! Quality also comes into play when considering the weight of your suitcase. If a suitcase is large and cheap, its likely not offering your personal belongings much protection. Whereas as a good quality large light suitcase is generally going to be a bit pricey. As you can see it’s a bit of a balancing game and will really depend upon what is a priority to you. In the table above, I have included the weights of all the suitcases for your convenience. 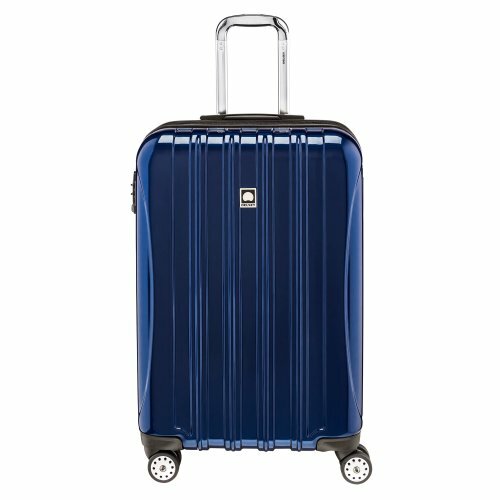 Suitcases come with various number of wheels with the most common being two or four. A two-wheel suitcase, also known as rollers, require you to tilt it to wheel it and it doesn’t easily go around corners or through narrow spaces. What’s frustrating is that two wheels suitcases tend to fall over when left unaided and it’s impossible to pull more than one. However there still are some advantages of using one a two-wheel carry on suitcase over a four or more wheeled one. Two-wheel suitcases are usually easier to pull behind you and quite often once you leave the airport you will tend to want to pull your case rather than push it. Two-wheel luggage options tend to be able to handle cobblestones and uneven surfaces much better than other cases. Four-wheel suitcases, also known as spinners, are now becoming the standard and are far easier to manoeuvre around busy airports. Four-wheel luggage easily moves in any direction, including going around corners with ease. A light push on the handle is all that is usually required to move the suitcase around the airport and doesn’t require you to hold any of the weight. Suitcases with expandable compartments are great as they provide you with a place to store your various purchases during your travels. No need to buy an additional bag, you simply unzip the expandable compartment for more space. Some luggage comes with various compartments and pockets, both inside and outside the suitcase for you to manage your belongings. Do you prefer a hard or soft suitcase? There are advantages and disadvantages of both. 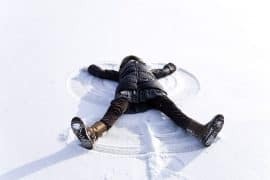 Soft shell bags generally weigh less but aren’t always the best for keeping for your belongings well protected – particularly cheaper suitcases. Whilst hard shell cases do a better job of protecting your belongings, but they do weigh a fair bit more than their soft case counterparts. 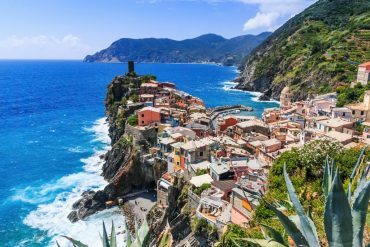 In this guide I have included a change of both soft and hard suitcases, so no matter what your preference is there should be the ideal suitcase for you. Ensure your suitcase has a handle that retracts quickly and easily, as handles that don’t can be a real pain when you are walking through a busy airport. It’s also recommended that you look handles that are tall enough to allow you to pull your luggage at a comfortable arm length while also contracting to mid-way. Also look for suitcases which have both top and side handles in order to make it easier when loading in and out of transport and off the baggage claim carousel. A water-resistant bag gives you extra protection when travelling in wet weather. Whilst water resistant bags aren’t designed to be water proof, they do give you that extra bit of time to seek shelter or pull out a rain cover without have your personal belongings getting wet. If you intend on investing a decent amount of money into a suitcase, ensure it comes with a warranty. Many of the top suitcase brands have warranties, but this is not generally common with cheaper brands. So whilst not a huge important factor I thought I’d mention the colour of your suitcase. I’m not talking about whether your suitcase is stylish, or not, but rather will you recognize it when it comes around the baggage claim carousel. Or will someone else mistake it for their bag? I highly recommend that if the suitcase you want to buy comes in various colours that you go for the brightest colour or design. If you must get a black suitcase make sure you stick a bright ribbon onto it so you can find it easily.